Small pieces of synthetic RNA trigger a RNA interference (RNAi) response that holds great therapeutic potential to treat a number of diseases, especially cancer and pandemic viruses. The problem is delivery — it is extremely difficult to get RNAi drugs inside the cells in which they are needed. To overcome this hurdle, researchers at University of California, San Diego School of Medicine have developed a way to chemically disguise RNAi drugs so that they are able to enter cells. Once inside, cellular machinery converts these disguised drug precursors — called siRNNs — into active RNAi drugs. The technique will publish Nov. 17 in Nature Biotechnology. The beauty of RNAi is that it selectively blocks production of target proteins in a cell, a finding that garnered a Nobel Prize in 2006. While this is a normal process that all cells use, researchers have taken advantage of RNAi to inhibit specific proteins that cause disease when overproduced or mutated, such as in cancer. First, researchers generate RNAi drugs with a sequence that corresponds to the gene blueprint for the disease protein and then delivers them into cells. Once inside the cell, the RNAi drug is loaded into an enzyme that specifically slices the messenger RNA encoding the target protein in half. This way, no protein is produced. As cancer and viral genes mutate, RNAi drugs can be easily evolved to target them. This allows RNAi therapy to keep pace with the genetics of the disease — something that no other type of therapy can do. Unfortunately, due to their size and negatively charged chemical groups (phosphates) on their backbone, RNAi drugs are repelled by the cellular membrane and cannot be delivered into cells without a special delivery agent. It took Dowdy and his team, including Bryan Meade, PhD, Khirud Gogoi, PhD, and Alexander S. Hamil, eight years to find a way to mask RNAi’s negative phosphates in such a way that gets them into cells, but is still capable of inducing an RNAi response once inside. In the end, the team added a chemical tag called a phosphotriester group. The phosphotriester neutralizes and protects the RNA backbone — converting the ribonucleic acid (RNA) to ribonucleic neutral (RNN), and thus giving the name siRNN. The neutral (uncharged) nature of siRNNs allows them to pass into the cell much more efficiently. Once inside the cell, enzymes cleave off the neutral phosphotriester group to expose a charged RNAi drug that shuts down production of the target disease protein. siRNNs represent a transformational next-generation RNAi drug. The findings held up in a mouse model, too. There, Dowdy’s team found that siRNNs were significantly more effective at blocking target protein production than typical RNAi drugs — demonstrating that once siRNNs get inside a cell they can do a better job. The siRNN technology forms the basis for Solstice Biologics, a biotech company in La Jolla, Calif. that is now taking the technique to the next level. 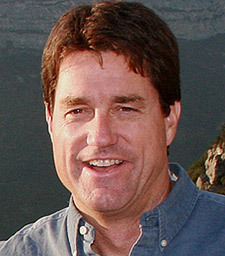 Dowdy is a co-founder of Solstice Biologics and serves as a Board Director. Additional study co-authors include Caroline Palm-Apergi, Arjen van den Berg, Jonathan C. Hagopian, Aaron D. Springer, Akiko Eguchi, Apollo D. Kacsinta, Connor F. Dowdy, Asaf Presente, Peter Lönn, Manuel Kaulich, Naohisa Yoshioka, Edwige Gros and Xian-Shu Cui, UC San Diego School of Medicine. This research was funded in part by the W.M. Keck Foundation, U.S. Department of Defense, Leukemia & Lymphoma Society, Pardee Foundation and Howard Hughes Medical Institute.